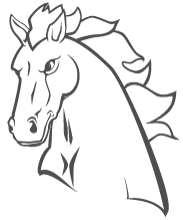 On August 19th, at a special school board meeting, the Marcola School Board tentatively and unanimously approved the Mustang as the new Mascot for Mohawk Middle/Senior High School and Marcola Elementary School. The appointed Mascot Committee worked very hard to provide information and collect input from students, community and staff via flyers, web page, Facebook, meetings and one to one conversations. The results of the surveys and meetings allowed the committee to define our top 10 attributes for a mascot and the top ten “gender neutral” mascots that best fit the attributes. Although, the results of the survey clearly defined the top 3 choices, the Mustang was the most popular with the students and second most popular with the community. When Combining the results from students and community the Mustangs were the top choice. The school board will formally approve the Mustang Mascot at their May 8, regular board meeting at 6:00 p.m. In the meantime we are collecting suggestions and ideas for the images of our new mascot. Prior to 2014, Marcola School District, a small rural community 30 miles east of Eugene, had no STEM (Science, Technology, Engineering and Math) program and no CTE (Career Technical Education) program of Study. In addition, the school district had very little technology to deliver a STEM or CTE program. Currently in 2017, the Community has built a new elementary school, invested in technology to implement a 1:1 program, worked with industry and local colleges to develop and implement 5 CTE programs of Study (Agriculture, Construction, Health Occupations, Engineering and Computer Science) increased graduation rate from 62% to 91%, implemented proficiency based instruction, and increased its capacity to deliver a synchronous, asynchronous and blended learning environment to its students. The community understands the challenges of rural isolation and now wants to share its success with other rural communities by expanding virtual opportunities (synchronous, asynchronous and blended) for students to access STEM and CTE programs. The District’s School Board, Site Council, Student Council and concerned parents have all embraced the concept of MVSA to expand and deliver more STEM/CTE courses to other students who currently have little or no access to these opportunities. 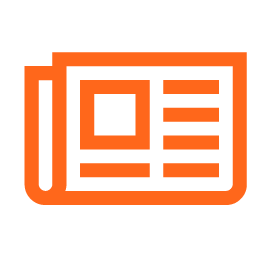 Our community has rallied behind the possibility of increasing partnerships with industry for the purpose of increasing opportunities for students in Marcola and outside of Marcola to engage in job shadows, internships and pre-apprenticeships. Some of these opportunities can be offered through virtual technology, eliminating geographical barriers. Students gravitate to online courses for a different “classroom” experience, to access courses not available to them in their local school, to accommodate a work schedule or to simply engage in a new kind of learning. Yet, some schools and school systems struggle to find ways to integrate digital learning into the class selections offered, incorporate them meaningfully into transcripts, and see the opportunities to embrace new technologies in their own classrooms. Digital learning can reinforce personal choice and personal responsibility with students. It can empower students to examine new ideas, get excited about learning and have a multitude of opportunities and options. MVSA will enhance the educational experience as well as change how education is delivered and consumed. Most importantly,MVSA will individualize education for students from all geographic and economic backgrounds throughout our community and beyond. The MVSA hybrid model provides the best of the brick and mortar and online education removing the nexus between geography and quality. MVSA opens up a new frontier for students seeking an individualized education experience for the purpose of graduating career and college ready. Students (K-12) can have access to MVSA’s blended model of both online/virtual and face-to-face instruction. MVSA will allow students to choose from a variety of online and virtual courses offered by vendors who provide an award-winning curriculum delivered through an easily accessible learning management system. In addition, MVSA students can take live courses on the Mohawk/Marcola campus, have access to paid and unpaid internships in careers of their interest for credit, have access to all extra-curricular activities (including virtual clubs and activities such as robotics and sports), and participate in virtual and nonvirtual field trips. MVSA also offers financial assistance to students/families who can not afford to purchase internet connectivity and/or the hardware/software needed to access a virtual curriculum. If you or someone you know is interested in attending a Charter School, MVSA is a good choice. Upon graduation from High School your child could easily have badges demonstrating their proficiency with a wide variety of skills in any one of the career paths we offer. Please contact us online or call the district office at 541-933-2512. Next year all students at Mohawk Middle/Senior High School can stay on campus and have two points of contact for buying a lunch. For a variety of reasons, we feel students are safer and make better choices when they stay on campus during lunch. We have begun discussions about implementing a closed campus policy. Mohawk Middle/Senior High School is a closed campus which means that students are not to leave at any time during the regular school day without having first checked out through the office. Any student returning to campus after being off campus without permission may be subject to search upon returning to campus. Exception: During their assigned lunch period, seniors may leave campus with parent approval. Underclassmen (grades 9 -11) living within walking distance may be approved for an off ground lunch PASS with a parent request. This pass is valid only if the student walks home for lunch. No underclassmen will be authorized to drive off campus or be in a vehicle off campus during lunch periods. For those who would like to comment or provide feedback on the proposed policy. Please contact us online or call the district office at 541-933-2512. Superintendents across the state have made a case for increased school funding. As it stands now, the 7.8 billion proposed will require many districts to cut staff and instructional days. Marcola School District is currently balancing their budget on the 7.8 billion proposed education budget. We need an additional teacher or two and we have a need for more equipment and supplies. Currently, we are surviving by accessing alternative funds (grants) outside of the state school fund. Grant funds used to support personnel costs and other long-term costs to sustain the program is not wise. Once the grant goes away, so does the program. We must have the State School Funding necessary to support our basic instructional program – including personnel costs. We are pushing for an 8.4 billion education budget to keep our existing personnel, number of instructional days and programs in place. The New Tax Reform plans could avoid K-12 cuts and actually increase our budget to add staff, purchase additional equipment and build our reserves for capital outlay, transportation and technology. We appreciate the support of our community as we continue to make huge improvements for the students we serve each and every day. Our mission is to have all students learn well without the loss of enthusiasm for learning. With your support we have accomplished many of our goals and we continue to set new goals to achieve excellence in all aspects of providing a quality education.